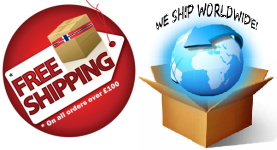 Traditional and Authentic Wool Sweaters and Cardigans for Kids. 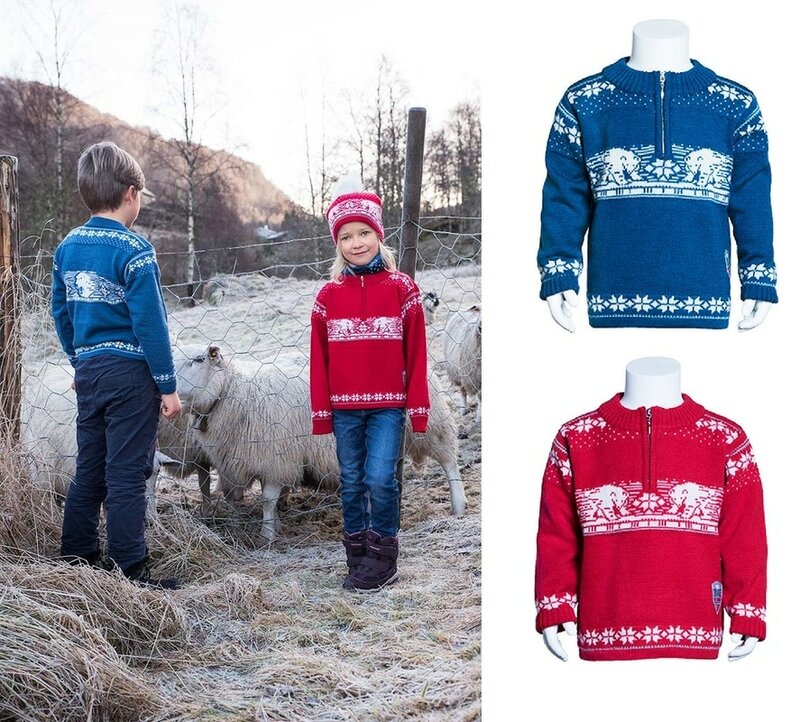 Made from 100% Norwegian Wool to Keep the Cold Out and warmth in keeping them warmer and cosy while outside. From infant to older children in most sizes. Match Your Sweater with Kids Accessories, such as: Kids Hats, Kids Gloves, Mittens and Scarves in a variety of Nordic Traditional Designs and Colours. 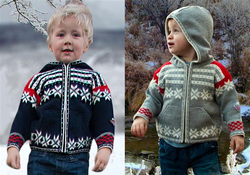 Our Children's Sweater "Kvitebjørn" is inspired from the majestic polar bears living on Svalbard and has a polar bear pattern on both back and front. This is a light weight sweater with a practical zip opening at neck. Made from 100% Norwegian Pure Wool. The Traditional Setesdal Pattern is one of the most well known Norwegian design patterns. 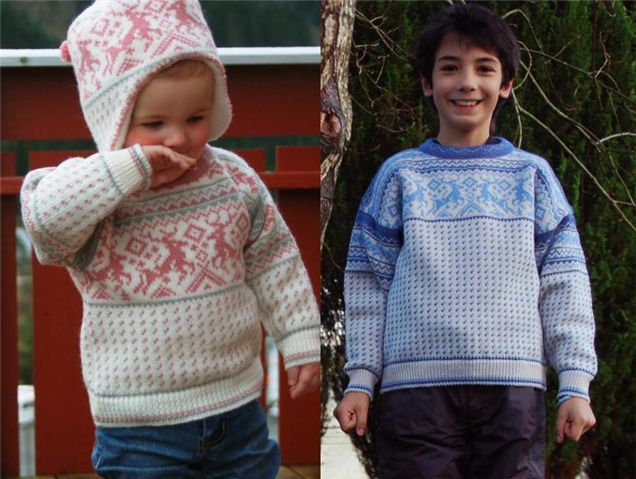 This Pullover for children has got it all, the pattern, the woven band and the classic pewter clasps. 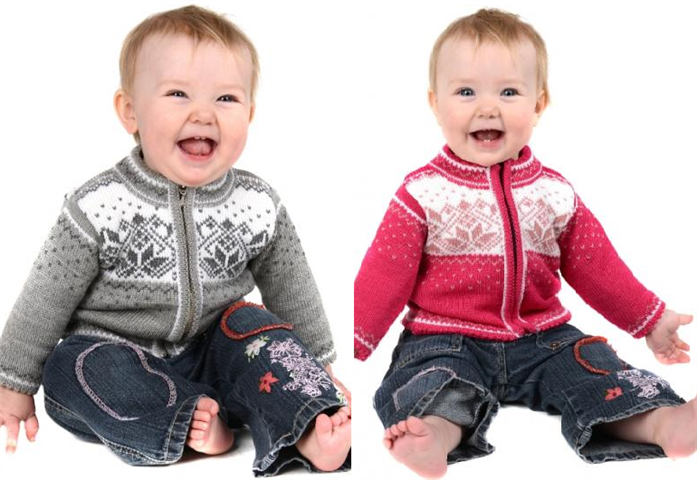 Dress your Child for warmth in this sporty cardigan jacket just oozing with personality. Magnificently constructed in 100% pure new wool with full zipper, two front pockets and a hood. Classic eight-petal rose pattern on the chest and hem is beautifully integrated with horizontal designs striping the upper chest, brightly capped shoulders and checkerboard cuffs. Matching hat and scarf sold separately. Available in Sizes: 1- 2 - 4 - 6- 8 years of age. 552. TYRIHANS Kids Norwegian Cardigan with Reindeer Pattern. 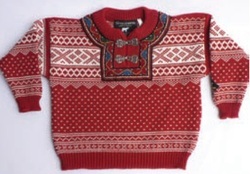 Cardigan for children with classical Norwegian reindeer pattern and button opening. Sizes: 1-2-4-6-8 Years of age. 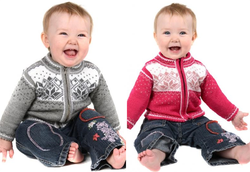 Nice Comfortable Soft Knitted Cardigan for small children with Zip opening. Soft knitted in 100% pure new wool with full zippered opening. Classic eight-petal rose pattern is softly integrated with stylish and sporty v-shaped dots. Delicate and charming trims adorn neckline, shoulders, cuffs and hem. Sizes: 0- 1- 2- 3- 4 Years of age.